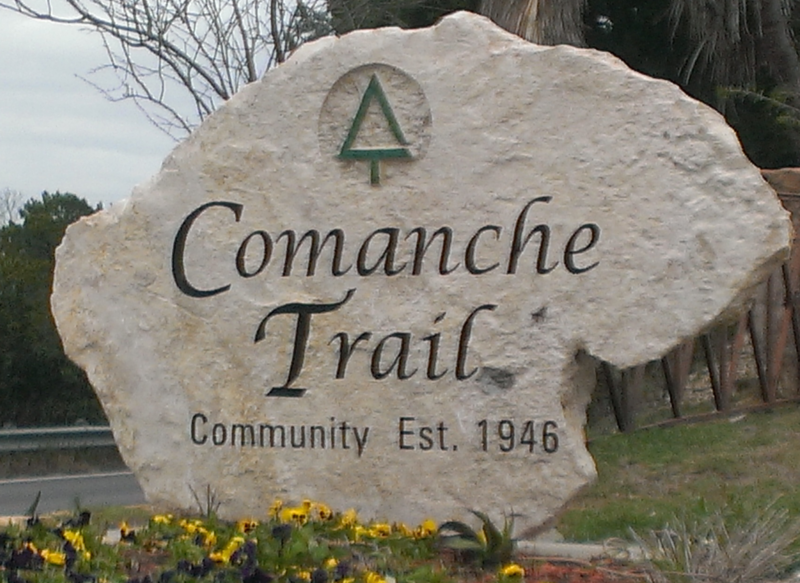 The Comanche Trail neighborhood, which is located on Lake Travis, west of Austin, TX, is comprised of 262 home sites in eight recorded and two unrecorded plats, all linked by Comanche Trail. 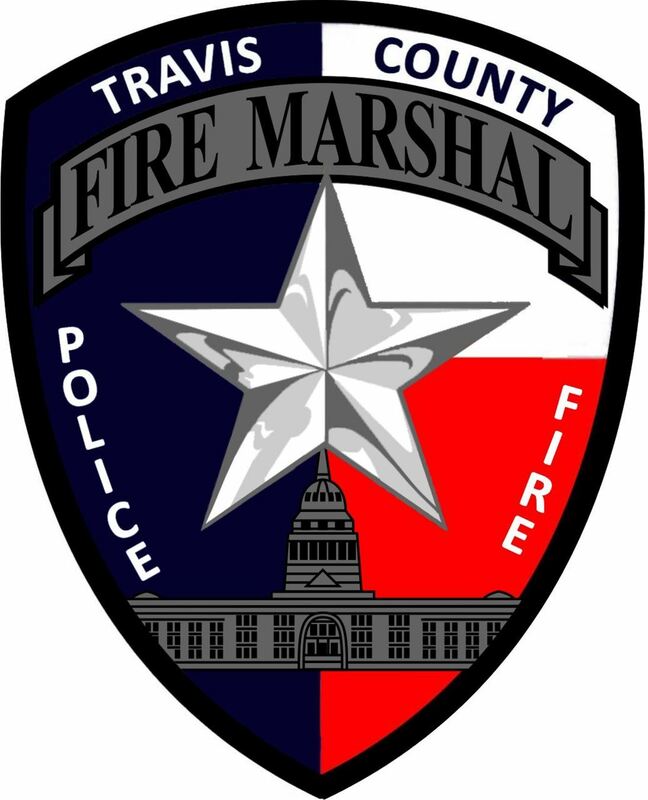 Comanche Trail lies within the extended territorial jurisdiction (ETJ) of Austin which preserves their right to annex our area in the future, but for now we do NOT pay Austin taxes and do not receive services from Austin – our utility and emergency services are provided by Travis County organizations and an electricity coop and education needs are met by Leander ISD. 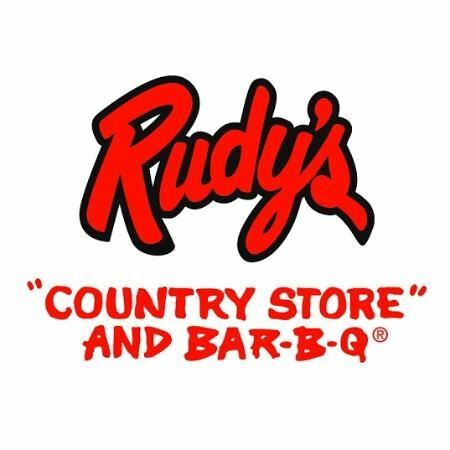 Downtown Austin is a short 20 minute drive – except during rush hours. 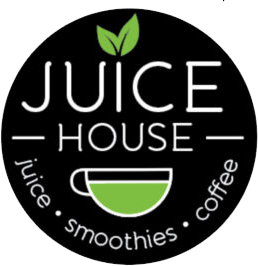 We are close to Lakeway and Bee Caves to the “south” and Cedar Park to the “north”, providing easy access to grocery stores, shopping malls, restaurants, big box stores, health professionals, sports and entertainment – all without disturbing our tranquility. We also have our own special spot – The Oasis – the sunset capital of Texas and are looking forward to the completion of Oasis,Texas at the entry to our neighborhood. 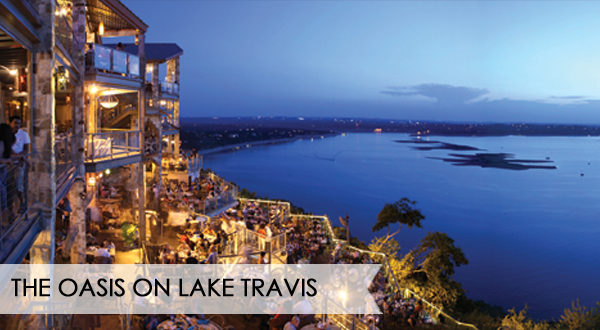 Many of the homesites are waterfront on the main basin of Lake Travis, one of the six Highland Lakes formed by impounding the Lower Colorado River (Texas) . Manfield Dam impounds the water forming Lake Travis, and was authorized for flood control, to stop the devastating annual flooding of Austin, a few miles downstream. Construction of the dam started in 1937 and was completed in 1941. Lake Travis winds over 60 miles to the northwest, ending at Starcke Dam in Marble Falls. Significant development of what was to become Comanche Trail did not start until after World War II ended in 1945. In November, 1946, the first plat of 24 waterfront lots was recorded as “Comanche Point” by H. O. Fisher. That was followed by a plat of 20 waterfront lots, simply called “Comanche Trail”, situated at the “eastern” end of Comanche Trail, between two parcels of land that would later become Hippy Hollow Park (109 acres) on the “east” and Bob Wentz Park at Windy Point (211 acres) on the “west”. “Comanche Trail” was platted by Percy Hancock in April, 1947. In December, 1947 another 13 waterfront lots and 3 large non-waterfront blocks, located at the far “west” end of Comanche Trail fronting on the Cypress Creek arm of Lake Travis, were platted as “Comanche Village” by Bob Wentz. He also platted 18 lots across the street from “Comanche Point” as “Comanche Point 2″ in February, 1949. About 3 1/2 years later, in October 1952, the development of lots on the “north” side of Comanche Trail began the inevitable climb to the top of the ridge. This time R.O. Moore platted 90 lots as “Comanche Trail 2″, began Mountain Trail perpendicular to Comanche Trail and added Lake View Drive parallel to Comanche Trail. In March, 1955 Moore completed the platting of lots to the top of the ridge as “Comanche Trail 3″, containing 79 lots, by extending Mountain Trail to the top of the ridge and then “east” along the ridge top to a cul de sac and added Panorama Drive extending “west” on the ridge top to another cul de sac. Two additional plats of property at the “top” of Comanche Trail, “west” of Hippy Hollow Park, were prepared by Dudley Prade in 1962 called “Comanche Pass 1″, with 14 lots, and “Comanche Pass 2″, with 26 lots, but they were never approved by Travis County Commissioners Court nor recorded by the County Clerk. Initial improvements were week-end retreats – small cabins of 600 +/- square feet. 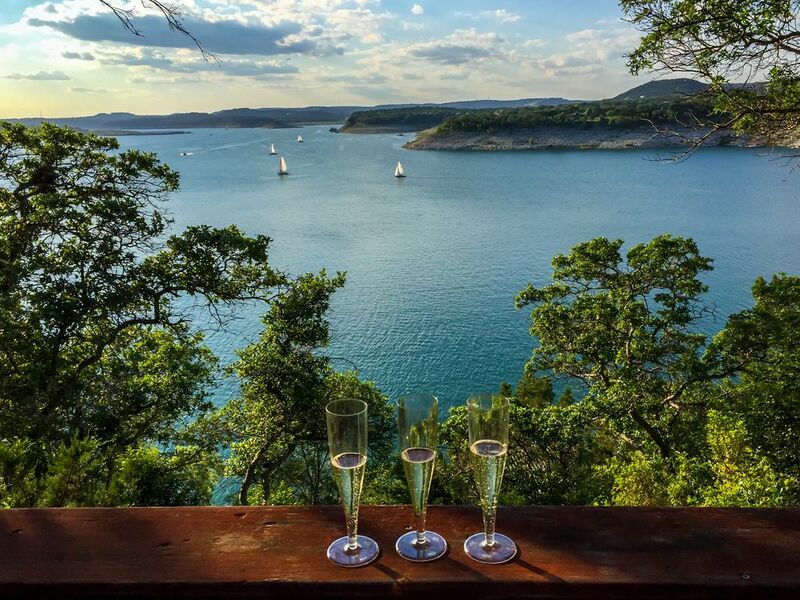 They served as gathering points for fishing parties and recreational use of Lake Travis. Until major road improvements were made, it was too difficult a drive to commute from Austin so permanent homes only began in the early 60’s. Today, most of the small week-end homes are gone or have been remodeled to increase their size and amenities. The commute to Austin center is about 25 minutes so most homes are occupied by full-time residents. In the past few years the size of homes has increased substantially along with increased architectural diversity. 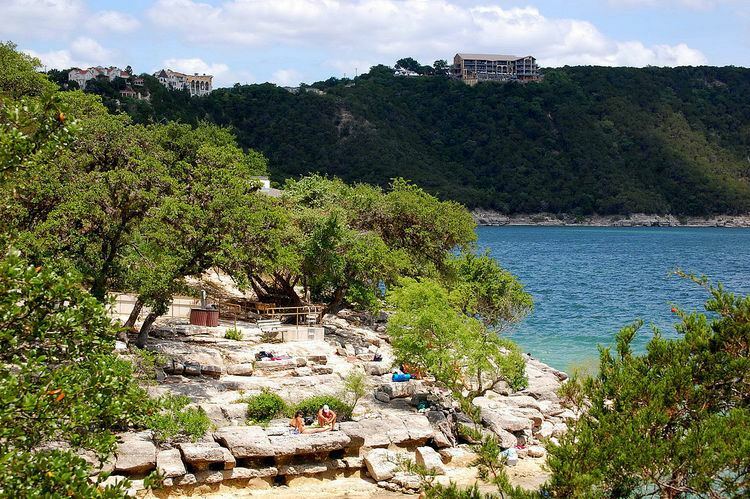 While about 25% of the lots are waterfront, virtually all lots have water views, either of the Lake Travis main basin or the Cypress Creek extension. When looking at the photo above, you might think all that green is part of a challenging golf course… no such luck. 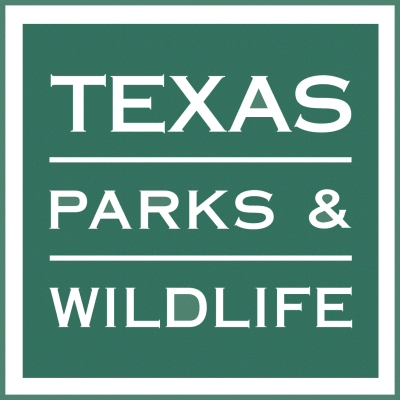 The land on the “north” side of Comanche Trail, Panorama Drive and Mountain Trail, which is owned by the Lower Colorado River Authority, was committed to the Balcones Canyonlands Preserve which provides habitat conservation for several endangered specie. As a result, access is restricted, however we enjoy the tranquility afforded by the greenbelt on our “northern” border, which compliments the water border on our “southern and “western” edges. Written by resident Richard Allen.